Does iCloud Backup WhatsApp Messages? As one of the most widely used messaging apps in the word, WhatsApp is useful to us in a number of ways. It therefore contains a lot of important information that we don't want to lose. 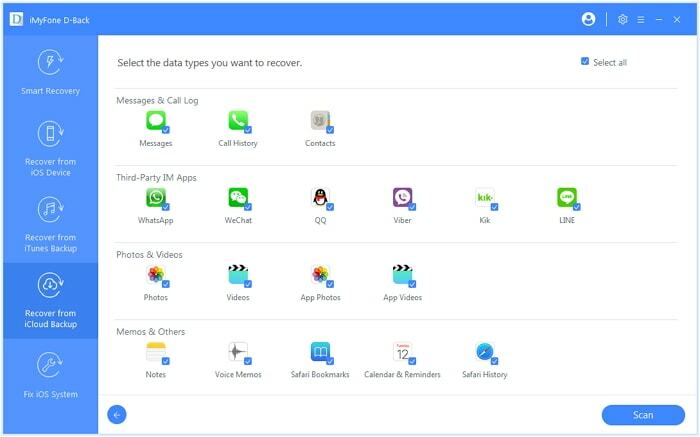 You don't want to lose your entire chat history when you uninstall WhatsApp. It is therefore important to back up your WhatsApp messages to keep them safe and prevent you from having to start all over again just in case you lose them. So You may wonder if iCloud backup WhatsApp messages. The answer is YES. iCloud supports backing up WhatsApp messages and will backup daily anytime your device is plugged in and connected to Wi-Fi. 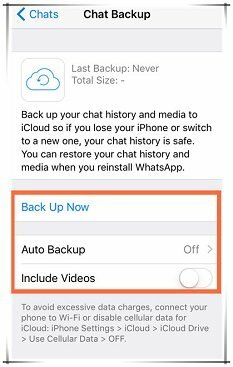 The following part shows you how to easily backup WhatsApp messages to iCloud as well as how to gain access to this backup and view or even extract the backed-up messages. You can easily backup all your WhatsApp messages to iCloud. Follow these very simple steps to do it. Step 1: On the iPhone, open the Settings app and then tap on iCloud. Step 2: Tap on the iCloud Drive and turn it on if it is turned off. Step 3: look through the list of apps to make sure that WhatsApp is turned on. 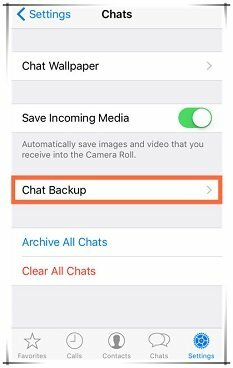 Now all you have to do is go to the WhatsApp app and tap on Settings > Chats > Chat Backup and then tap on "Backup Now" to back up your chat messages. 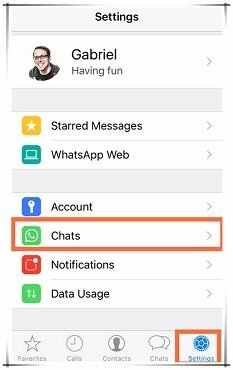 You can also go to WhatsApp -> Settings -> Chats -> Chat Backup -> Back Up Now within WhatsApp. If you just want to make sure that all WhatsApp messages have been backed up to iCloud successfully or you want to gain access to the backup and recover some of the messages, iMyFone D-Back iCloud data extractor for Win or iCloud data extractor for Mac can help you do that. The following are some of the features that make this data recovery tool the best tool to view your WhatsApp messages on an iCloud Backup file. It can be used to extract and recover up to 22 different types of files including videos, photos, messages and WhatsApp messages, making it the ideal investment for any iOS device user. It can be used to gain access to an iTunes or iCloud backup files and view the data within the backup files or even recover data. It comes with a preview function that allows users to recover data selectively. It is compatible with most versions of the iOS and iOS devices, including the newest iOS 12/11. It is also available for you if you use Windows or Mac. Follow these simple steps to view and extract your WhatsApp messages from your iCloud backup. Step 1: Download and install iMyFone D-Back to your computer and run it. 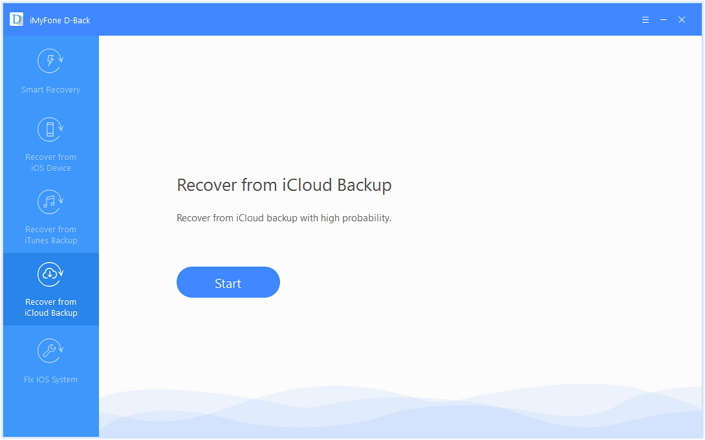 On the main window, select "Recover from iCloud Backup" and then click "Start" to begin. Step 2: Sing in to your iCloud account and then select the relevant iCloud backup file. Click "Next" to allow the program to process. Step 3: In the next window, select the type of data you want to extract. Check "WhatsApp" under "Third-Party IM APP and then click "Scan". 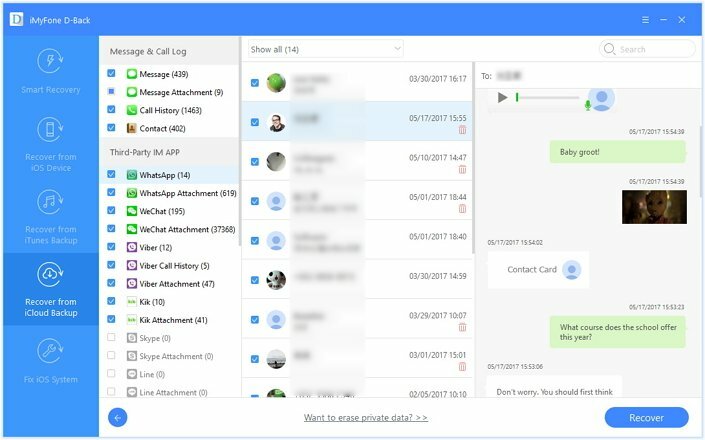 Step 4: In the next window, select the WhatsApp Messages you would like to view and extract and then click "Recover" to save them to your computer. 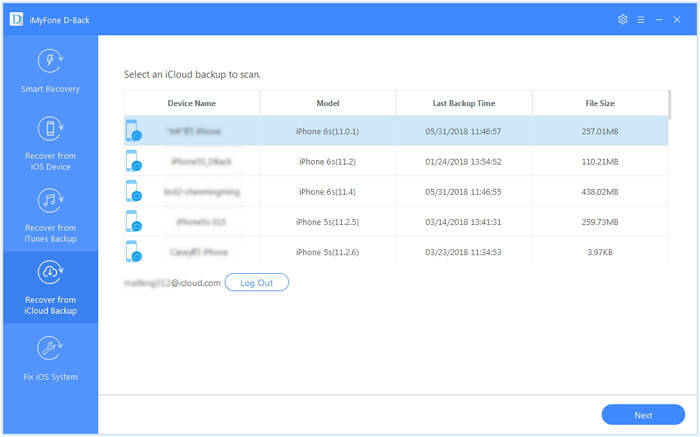 Download iMyFone D-Back iCloud data extractor for Win or iCloud data extractor for Mac now to check whether all your WhatsApp conversations have been backed up or not.